The Salt Virt cloud controller capability was initially added to Salt in version 0.14.0 as an alpha technology. Many features are currently under development to enhance the capabilities of the Salt Virt systems. 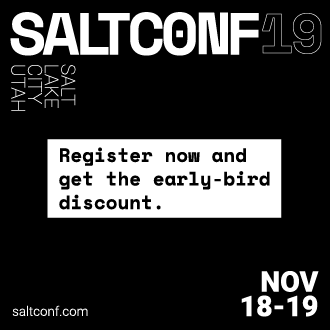 It is noteworthy that Salt was originally developed with the intent of using the Salt communication system as the backbone to a cloud controller. This means that the Salt Virt system is not an afterthought, simply a system that took the back seat to other development. The original attempt to develop the cloud control aspects of Salt was a project called butter. This project never took off, but was functional and proves the early viability of Salt to be a cloud controller. Salt Virt does not work with KVM that is running in a VM. KVM must be running on the base hardware. The point of interaction with the cloud controller is the virt runner. The virt runner comes with routines to execute specific virtual machine routines. The Salt Virt system is based on using Salt to query live data about hypervisors and then using the data gathered to make decisions about cloud operations. This means that no external resources are required to run Salt Virt, and that the information gathered about the cloud is live and accurate.